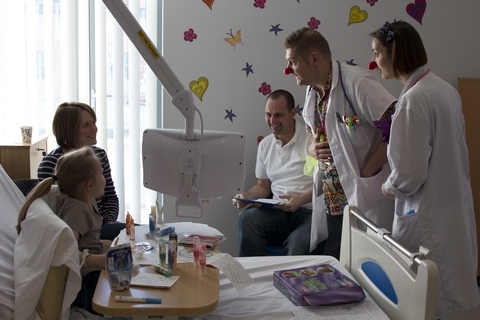 Time spent in hospital can be very traumatic for young children and their families. My recent experience of this was with my son, Jack (pictured below), who had cause to visit a hospital in Durham with suspected appendicitis. Thankfully, after an examination, a blood test and an overnight stay for observation, he was given the all clear. 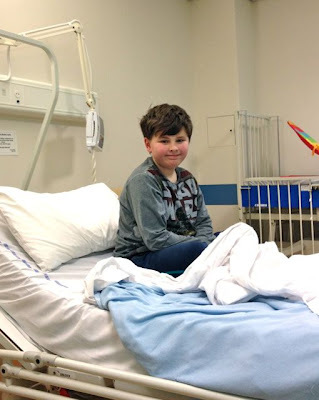 His short visit in hospital got me thinking about how lucky we were for him to be seen, diagnosed and treated so quickly and how other families aren't quite as fortunate as we were with their visits to hospital. This is especially true when I think of those families whose visits are on a daily basis for a prolonged period of time. While the care and attention given to Jack was really excellent, there were certain aspects of his stay in hospital that he found really traumatic. At the same time, I thought about a service that I'd seen demonstrated at an open day organised by The Children's Foundation; The Clown Doctors. It became very obvious to me how that service would have benefited Jack's stay in hospital but more importantly those children who unfortunately have to stay in for much longer periods of time undergoing far more traumatic things than Jack did. 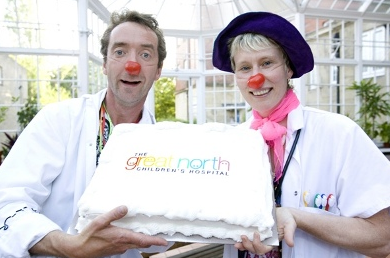 I was delighted to hear recently that, as a result of funding from The Children's Foundation, the Clown Doctors' service would be making a return to The Great North Children's Hospital in Newcastle. 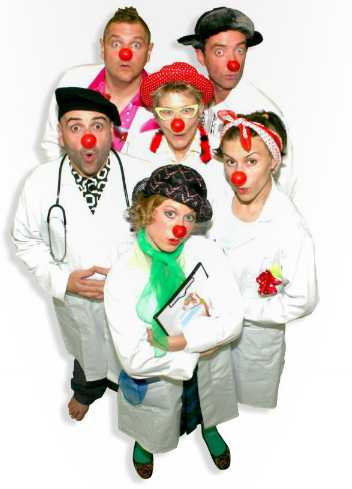 Libby Nolan, the fundraising manager at The Children's Foundation said "The return of the clown doctors is due to the successful year we have had through various forms of fundraising and individual support.". Just to give you an idea of what their service entails, I gleaned the following from The Clown Doctors website (www.clowndoctors.co.uk). 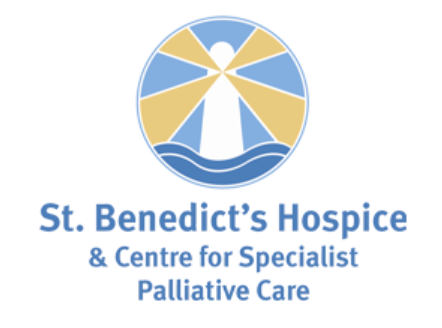 Their "ethos" states that "The Clown Doctors programme recognises that the implications of hospitalisation are far wider than simply those relating to medical conditions. 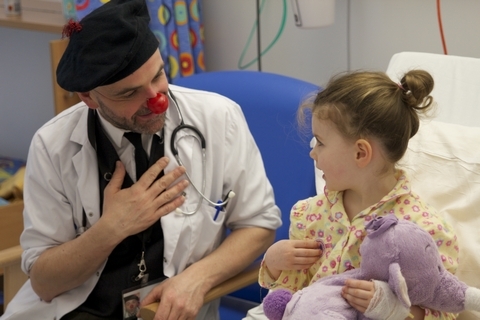 Fear, boredom, loss of control and other insecurities can adversely affect children in hospitals, and the Clown Doctors offer an impartial way of entertaining, supporting and empowering the children who may be struggling with these issues. Performing arts such as storytelling, music, improvisation and clowning are used to engage the children and to help them come to terms with their situation using humour and play.". If you've sponsored me over the last few years and made a donation to The Children's Foundation then you should be very proud of yourself. Please give yourself a well earned round of applause. If you have the energy, why not add a pat on the back! You've played your part in helping to reinstate the Clown Doctors in The Great North Children's Hospital. The continuation of this service is so important to the children and their families during their time in hospital. The Clown Doctors website (www.clowndoctors.co.uk) makes for very interesting reading and I found this report of particular interest as it shows just how well the Clown Doctors are thought of. I, for one, will be going all out to continue to raise funds this year for The Children's Foundation by running across Australia. Of course, The Clown Doctors are just one of many services or projects that The Children's Foundation provides funding for. I'll write about other projects such as the Whoops! Child Safety Project and Regional Small Grants programme in due course. For now, though, I'd just like to thank those kind folk who have sponsored my 2600 mile run across Australia and give you an example of just how well your money is being spent by The Children's Foundation. If you would like to join that very generous group of people then the link to my Virgin Money Giving page is http://uk.virginmoneygiving.com/rungeordierun1. Thanks so much in advance for your kind generosity and thank you to the wonderful Clown Doctors for doing such an amazing job.